Pour the first gallon of water in a large pot. 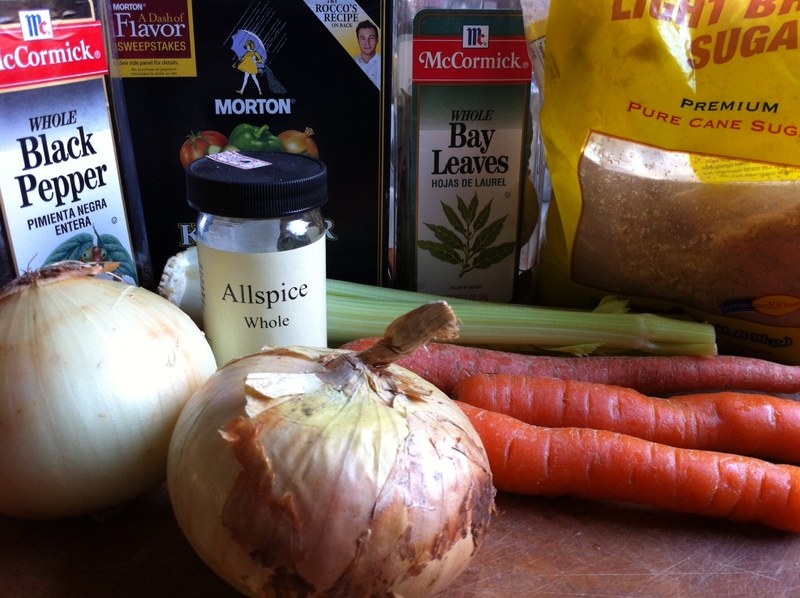 Quarter the onions, carrots and celery (no need to peel them) and add them to the water. Add all the other ingredients, except the ice water and turkey. Make sure the turkey doesn’t float up by placing a plate on top. 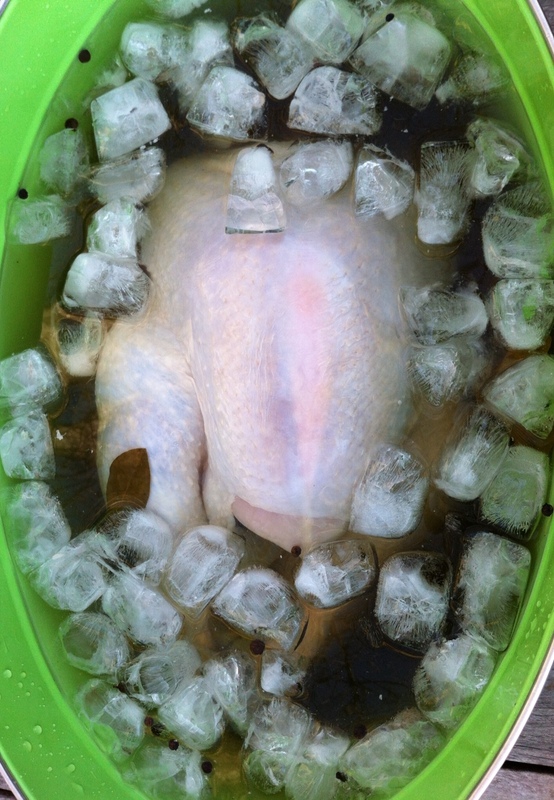 Put the turkey container in the fridge for 5 to 8 hours, flipping the turkey over in the container halfway through. Drain turkey, pat dry with paper towels, and then cook using your favorite recipe.